If you are looking at your lawn and wondering what next steps to take, then we can help. There are many pros and cons to both artificial grass and real grass. What you choose very much depends upon your budget, what you use your garden for and how often you are able to maintain your garden. Below we consider artificial grass versus real grass. The amount of time required to lay a lawn and then to maintain it is a huge consideration for most people. So, we will discuss the maintenance needed for both types of lawn. The obvious statement here is that the lawn will need to be mowed at least several times a week during the summer. During the autumn, you will also need to remove any debris such as twigs and leaves so as to preserve the health of your lawn. If doing these tasks is troublesome, or you simply do not have the time, then artificial may be a better option. Real grass also needs regular feeding and should be irrigated during dry spells. Insecticide and weed killer may also have to be used, which can prove to be costly. It is a fact that artificial lawns need much less maintenance. You will not need to mow, irrigate or add fertilizer. However, you will still need to rake it and clear it of any stray leaves or debris. Spills such as juice and food debris should also be wiped away as soon as possible to preserve the integrity of the fibers. It is also important that sharp objects are not placed on the artificial turf, as this can pierce the lining that will then need to be replaced. 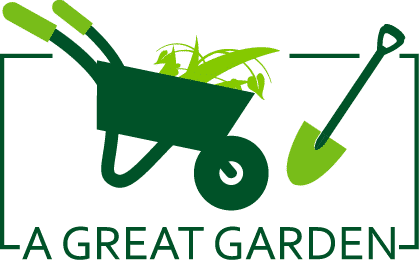 You can use dump cart or plastic wheelbarrow to remove sharp & awkward objects from garden. There is no denying the fact that artificial grass does feel different to real grass, so it does take some getting used to. Today, though synthetic fibres have much improved, which helps to give the grass a more natural feel. Fake grass also sounds different when you walk upon it, with a soft ruffling sound. Once again, this just takes some getting used to. Unlike real grass, you can choose the color and shade of your artificial turf which is rather exciting! Today we are all aware of the environment and that we need to protect it better. So can we help the environment with our choice of lawn? This is a tricky question to answer. 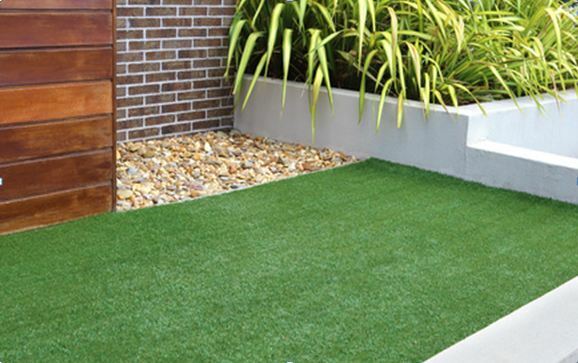 False grass requires no fertilizers or pesticides, but real turf is an excellent water filter. You also need to take into consideration the equipment needed to maintain natural grass, such as trimmers and mowers, none of which are needed for artificial lawns. Although artificial turf is often made from recycled materials, it is not biodegradable. Cost is a huge consideration. Best false turf on average costs roughly £200 for 20sq m. The cost therefore for buying the turf and getting it installed costs more than traditional turf. You do need to take into consideration that artificial turf will last around 20 years and requires minimal maintenance. In comparison traditional turf costs around £2 per 20 sq m. You should proper knowledge on price of fake grass and real grass price. When choosing which type of grass to use, you do need to be practical. If you have a dark and shady backyard, then artificial turf is your best option. Also, if you want to create a garden on your roof or balcony, then you can only go for the artificial option. For more information on top rated artificial grass , visit AG&L.